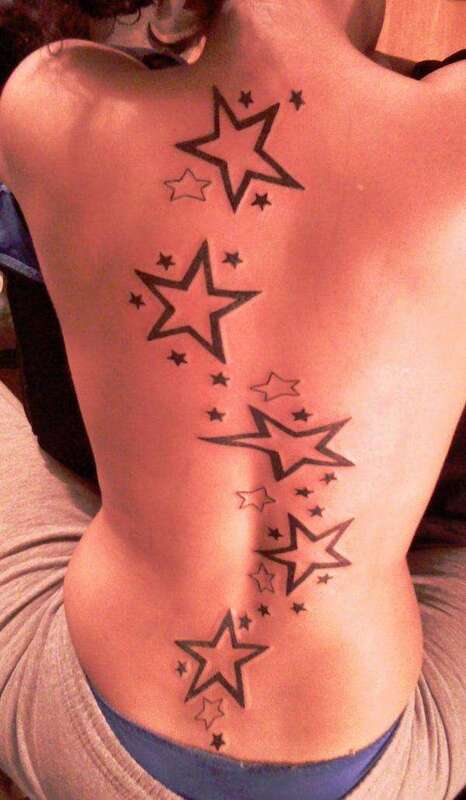 Star tattoos are some of the most common pieces around. 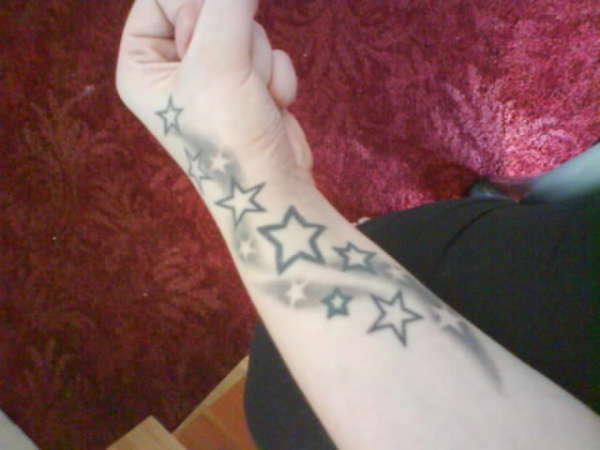 This is due, in part, to the fact that stars are flexible in terms of design and can easily be worn by either men or women. 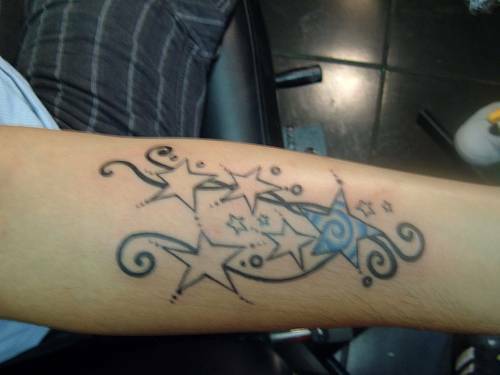 In addition, the image of a star can be very meaningful, and its symbolism ranges from ambition to protection, pride in heritage or beliefs to luck. 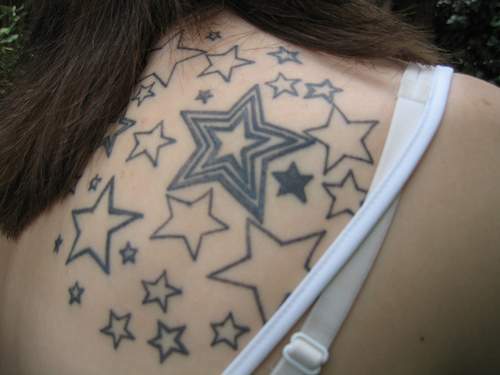 The symbolism of star tattoos typically depends on the type of star used. 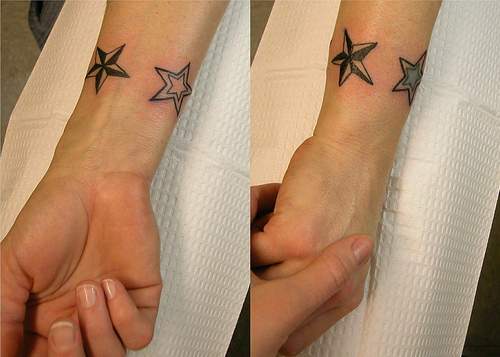 Two of the most popular styles are the Star of David and the pentagram, both of which have roots in religious imagery. 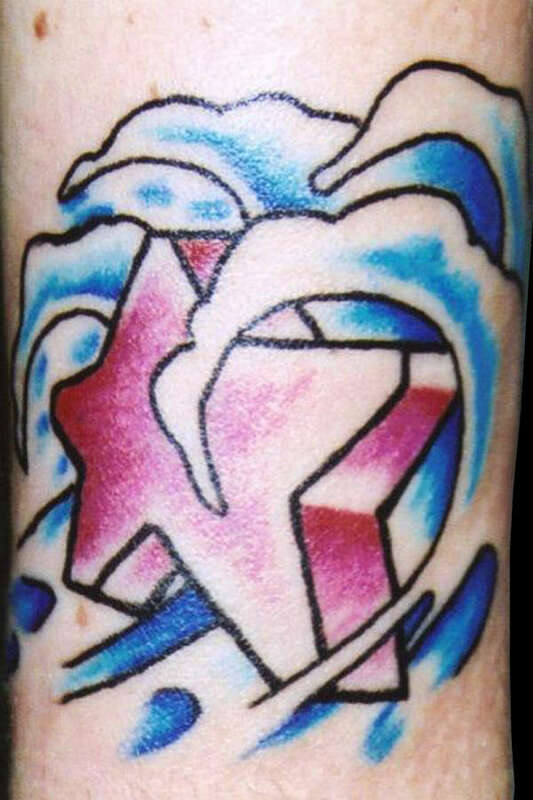 The Star of David is a significant symbol of Judaism and is thought to represent many things. 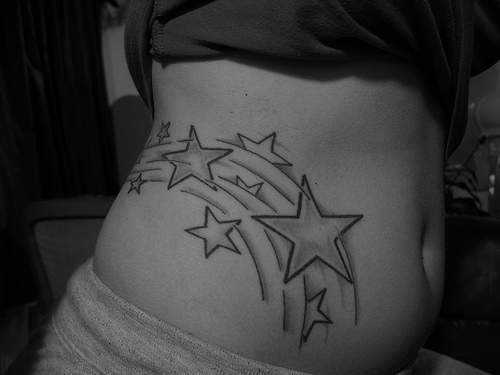 Some wear this star as a way of expressing pride in their beliefs or as a representation of their connection with God. 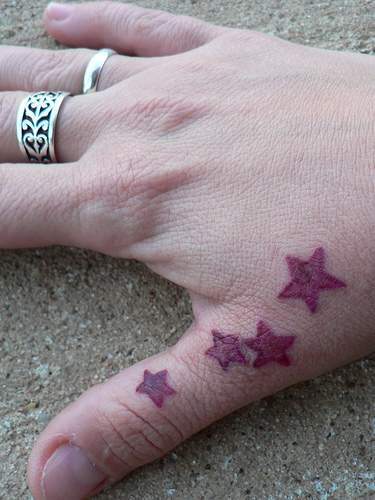 Although many people wear the Star of David in a simple way, some like to add color that is in some way significant. 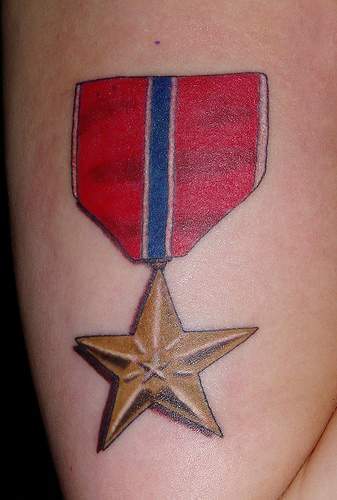 Some also like to add extra imagery to help enhance the meaning of this emblem, such as richly-hued flames or water, religious text or elaborate patterns. 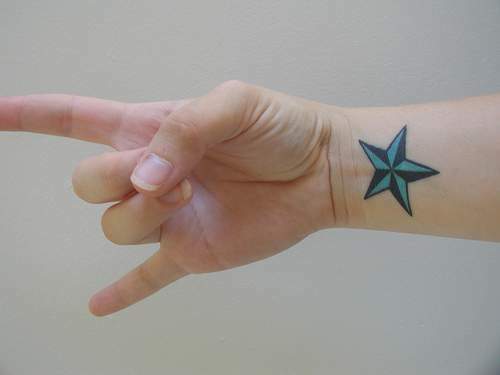 The pentagram is often associated with Wiccan beliefs. 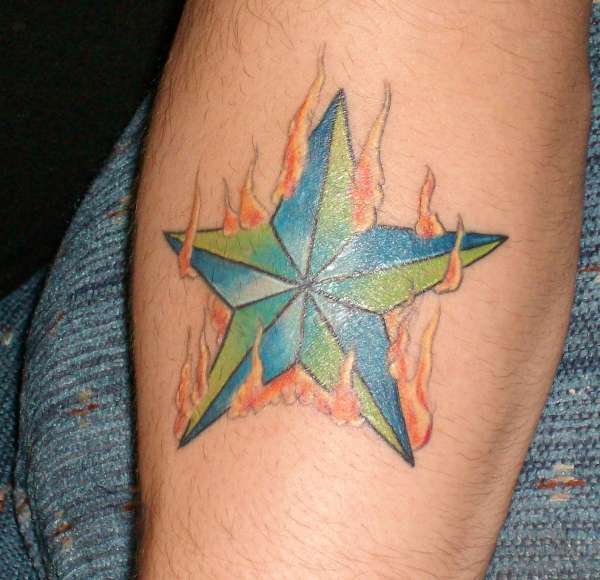 In this instance, the intricate five-sided star is meant to signify five elements: earth, air, fire, water and spirit. 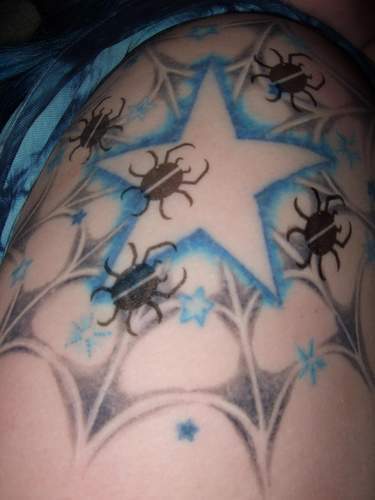 The pentagram has other meanings as well. 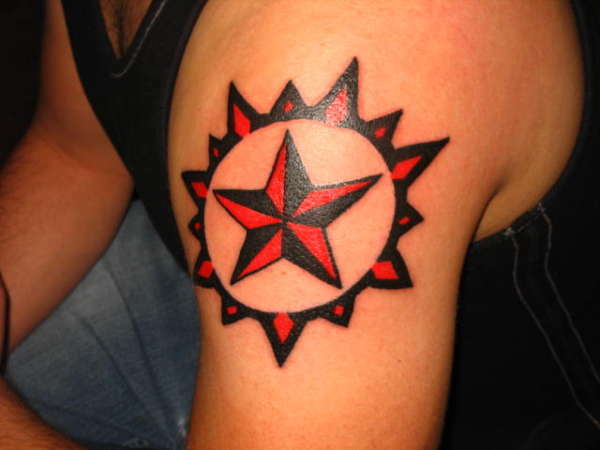 For instance, if it faces down it is thought to be an emblem of the Devil; however, in any other form this star is considered a symbol of balance and protection. 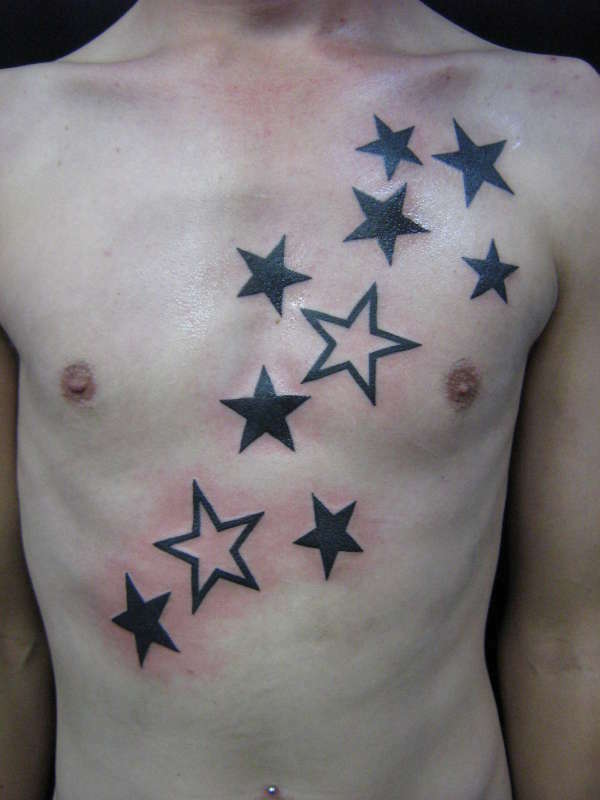 Nautical and shooting stars are also common types of star tattoos. 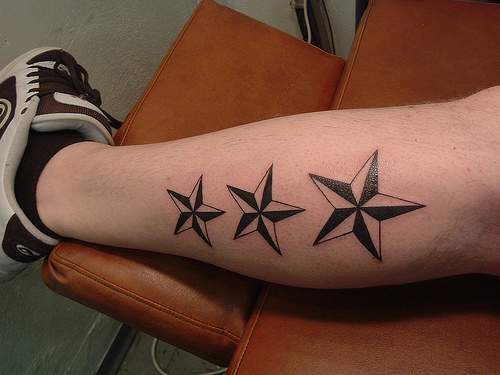 The nautical star has a long history and was once used superstitiously by sailors in the hope that wearing this image would help guide them safely home. 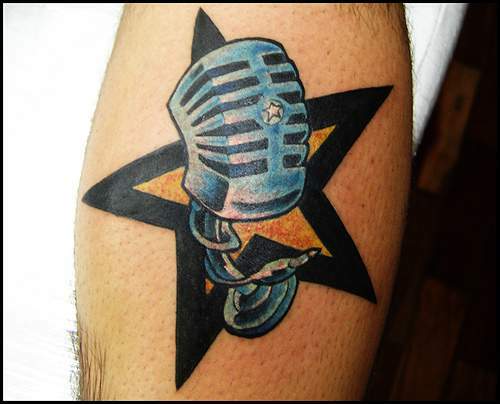 This symbolism is still sometimes used today, though in a less literal sense. 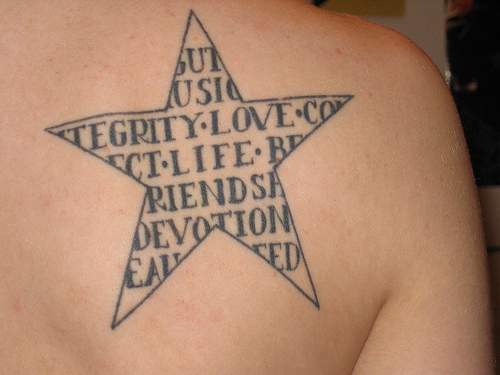 Generally, nautical star pieces are meant as emblems of protection and guidance through life. 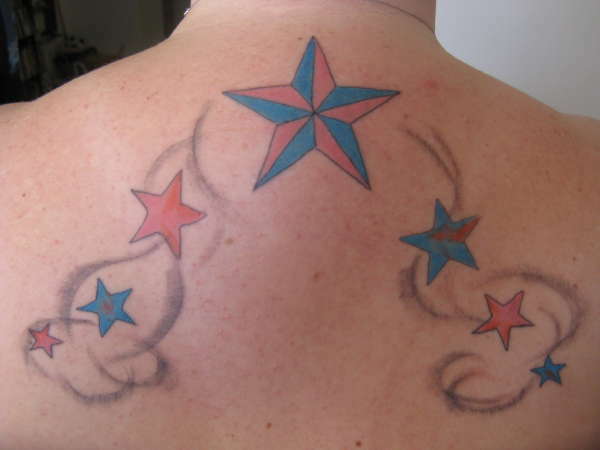 These pieces may be done simply, but are usually very colorful and are often surrounded by other nautical-themed images like swallows, anchors or fish. 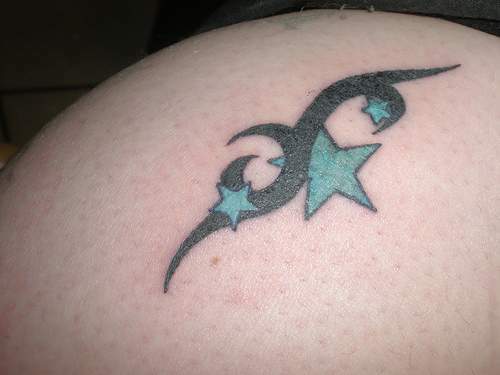 Though shooting stars may sometimes bear a more lighthearted meaning, they often symbolize a moment in a time that has left a deep and lasting impression. 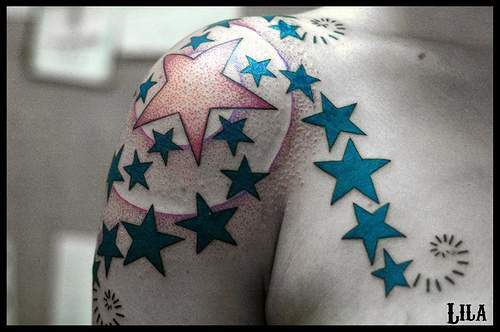 Often times, shooting stars are done in light hues, but may also appear in blazing shades of blue, orange or red. 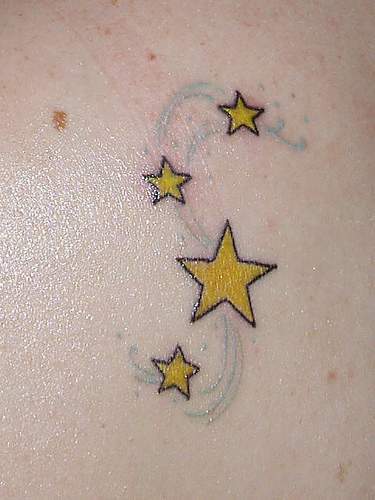 Celestial and cartoon-based star tattoos are very popular options. 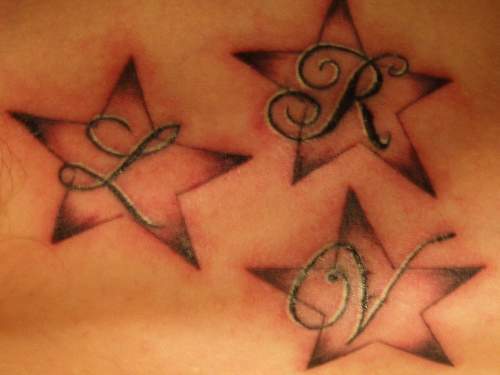 These pieces are often meant to symbolize dreams and ambitions, positivity and lightheartedness. 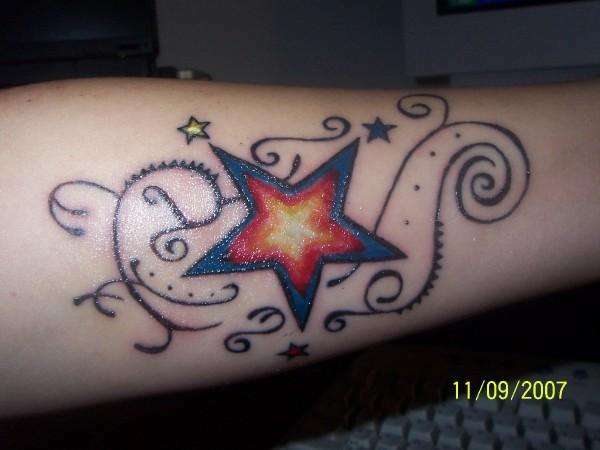 In some cases, colorful – often intricate – individual stars are created for these tattoos; however, some people prefer to use large groups of stars to create a more dramatic effect. 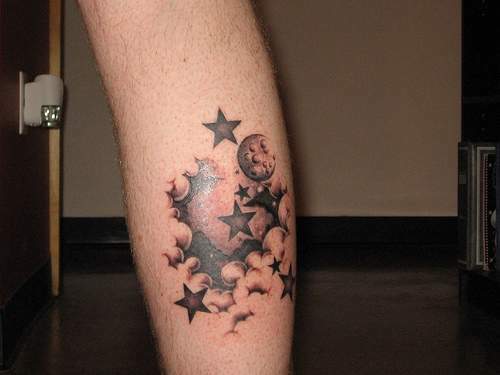 These styles often mingle stars with other related images such as planets or astrological signs.